What Is the Pure Water Brewing Alliance? What Is Pure Water Brew? Pure Water Brew is the world’s most sustainable beer made from 100% pure recycled water. It is a collaboration between pioneering brewers and water utilities who have teamed up to build public understanding of the water cycle, showcase water treatment, and advance water sustainability. Technology allows wastewater utilities to produce safe, purified - or recycled - water. This water goes through numerous treatment barriers and meets or beats drinking water standards. When it goes into the brew kettle, this water is some of the purest water on the planet and a truly blank slate for brewers. Why Do We Need Recycled Water? Water resources are strained by aging infrastructure, population growth, pollution, and climate change. Reusing water is a vital part of the solution. Recycled water is being used efficiently and safely in locations where an additional water resource is needed. It’s part of a sustainable future. Brewers understand water and recognize the need to use it sustainably. And brewers are very picky about their water. Clean, high-quality water is a vital ingredient in beer, making up 90 percent of its content. The commitment to conservation, along with brewers’ passion for technological innovation and ability to brew beer in small batches, is what led to the Pure Water Brewing phenomenon. Clean Water Services and the Oregon Brew Crew held the first Pure Water Brew competition in 2014. The concept quickly spread to the Milwaukee Metropolitan Sewer District; Hillsborough County, Florida; and CDM Smith in Colorado. Then Arizona Pure Water Brew partnered with 26 commercial brewers for a statewide contest. In 2017, these early adopters and a pioneering group of utilities, consultants, professional associations, and craft brewers formed the Pure Water Brewing Alliance. 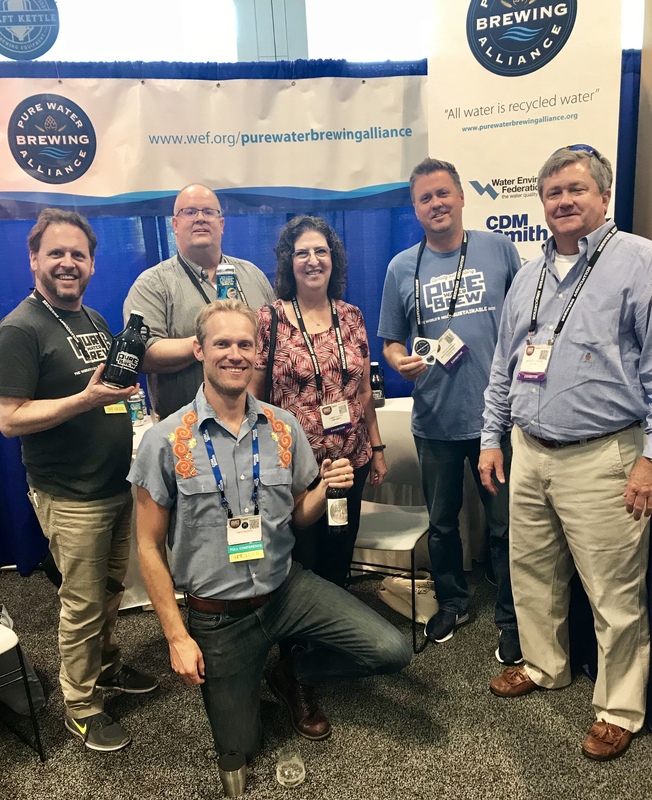 The Pure Water Brewing Alliance had a booth at the Craft Brewers Conference in Nashville on April 30-May 3. This was an opportunity to raise awareness of water reuse within the brewing industry. The booth received strong traffic and visitors expressed interest in the concept. The alliance also held a session on water reuse and brewing at the conference, with more than 150 attendees. The session featured a panel of Cascade Brewing, Half Moon Bay Brewing, Stone Brewing, Clean Water Services, Pima County (AZ), and CDM Smith. The panelists discussed their experiences with public engagement as the various efforts have progressed around the country. A look at how the purification process can lead to beer. The Water Reuse Roadmap is an overview of all the opportunities and issues faced by water reuse projects. Developed to help water managers facilitate successful water reuse programs, from concept development through implementation and maintenance.